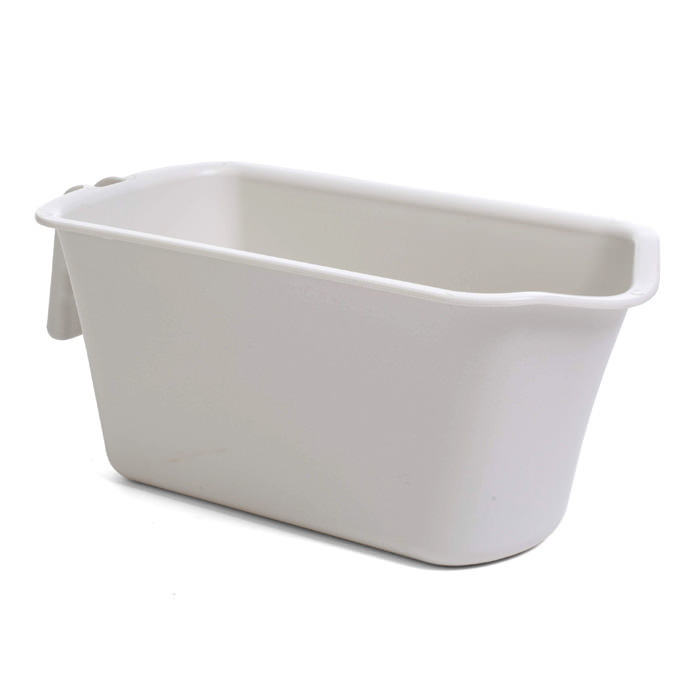 Rifton Pan for HTS - The pan facilitates off-toilet functionality with its generous capacity. Its durable plastic construction, with a pour spout, makes clean-up simple. The pan attaches to the Rifton HTS by sliding in from the back. Its extra depth insures it will not spill, even when the chair is tilted. It is easy to rinse out and sanitize between uses.